What is Man-in-the-Middle Attack (MITMA)? The Customize Windows > Computer and Internet > Cloud Computing > What is Man-in-the-Middle Attack (MITMA)? Man-in-the-Middle Attack (MITMA) is an attack designed to intercept communications between two parties and the breech remains unguessable. For example, Github is the Provider and You are the User; both computers’ are connected with each other either via Web Login or Command Line Tool. A Third Party, if somehow understand that your computer has security loophole (like it is Windows computer with no latest antivirus); the Third Party can push codes with malware faking as you (you have no idea that what is going on). The most common channel is a connection to the Internet of the average user. The attacker must first be able to observe and intercept messages from one victim to another. The Man-in-the-Middle Attack (MITMA) is particularly applicable in certain protocols. It is unlikely to happen with GitHub as Secured Socket Layer (SSL) is used and the Authentication is Key Based. It can happen if there is an instance of Session Hijack. Instantly, warning for being a possible Man-in-the-Middle Attack will float on the Command Line. This False Positive message of possible Man-in-the-Middle Attack situation happens as the Key from the User Side will not match. One of the major problems take place when two people want to exchange encrypted data to ensure that they alone should know the secret information, the matching must be able to exchange the confidential key too. In the context of symmetric cryptography, it is necessary to have a secure channel which itself requires a key. In the context of asymmetric cryptography, it has been partly solved. 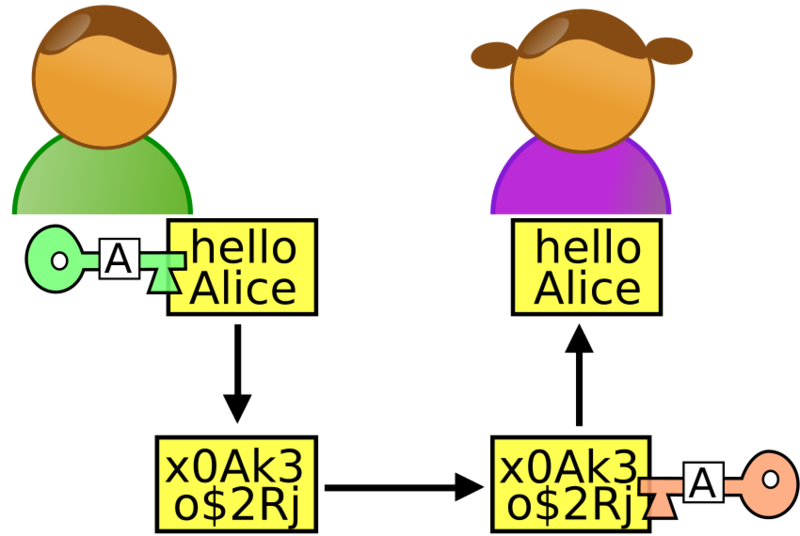 The two individuals each have their public key (used to encrypt) and private key (which is used to decrypt). Thus, only the public keys are exchanged, which does not require a secure channel. Even if someone managed to intercept and read these public keys, if they decrypt, it would be of no use assuming that the encryption algorithm is cryptographically secure. Read about Encryption and Decryption to understand the basics. Although the examples are given with Internet, this is most common in unencrypted Wireless Connections in Consumer Grade Electronics. The Man-in-the-Middle Attack adds the additional condition that the attacker has the ability to not only read, but also the ability to change the messages. In this case, even asymmetric encryption is vulnerable. Distributed denial of service : for example, the attacker can block all the communications before attacking the party. The computer can can no longer reply and the attacker has the ability to relay own message. In Ethernet , the attacker modifies the ARP table of the victim systems and thereby directs all the traffic. This is even possible with cable network operators and for example at public Wi-Fi hotspots. SSH provides a way to fingerprint (“fingerprint”) after the first login (“login”) to check whether you have actually reached the target computer. In other word, the example with false positive message with Rackspace is the result of the mistake – the key was not added to the Rackspace Control Panel by the user. Protection against MITM attacks also offers the so-called Integrity Protection, as used in UMTS. This Article Has Been Shared 3835 Times! Articles Related to What is Man-in-the-Middle Attack (MITMA)? Title: What is Man-in-the-Middle Attack (MITMA)? Cite this article as: Abhishek Ghosh, "What is Man-in-the-Middle Attack (MITMA)?," in The Customize Windows, March 13, 2014, April 23, 2019, https://thecustomizewindows.com/2014/03/what-is-man-in-the-middle-attack-mitma/.